I’m just back from a quick 3-day trip to the very farthest southern part of Texas, known as the Rio Grande Valley region. This is by far the “busiest” of all sectors of the U.S.-Mexico border. 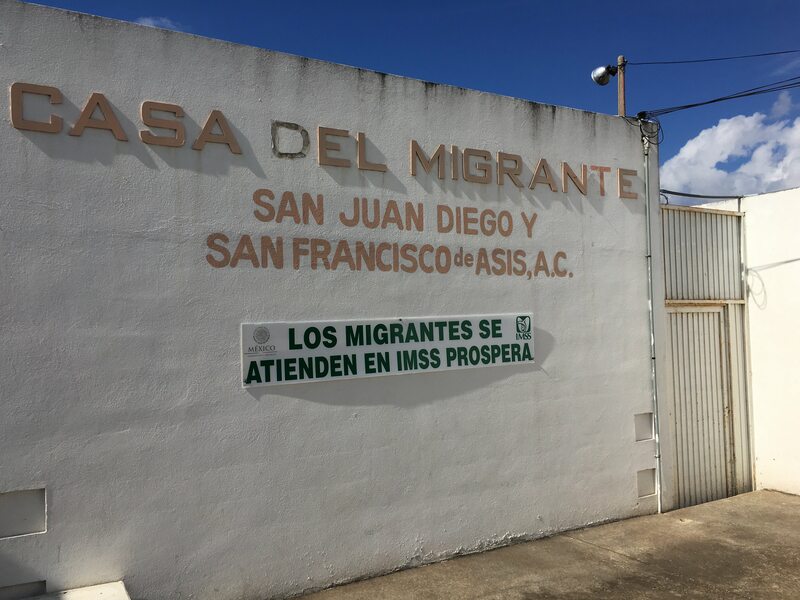 It has the most undocumented migration, the largest number of Central American migrants seeking protection from violence, and (according to local Border Patrol, measured by weight) the most illegal drug seizures. It’s where the Trump administration, in its 2018 budget request, wants to build 60 miles of new border wall. 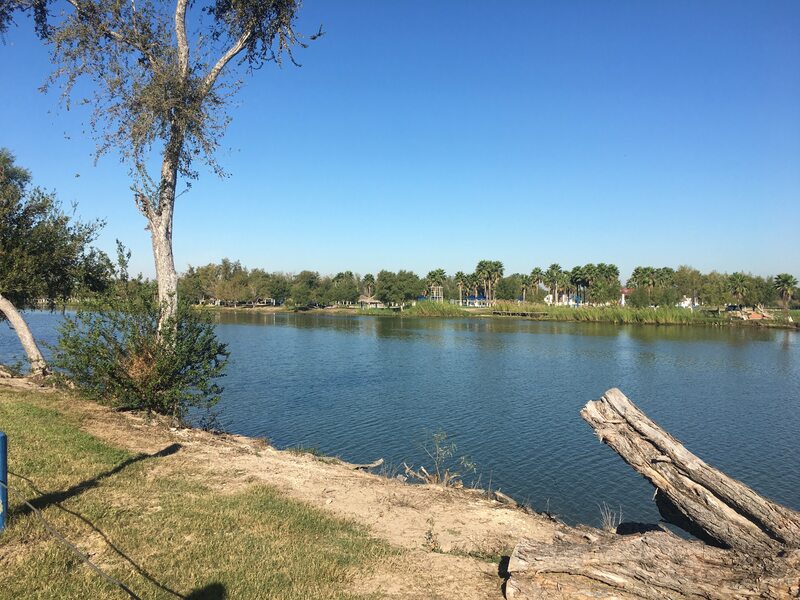 Looking across the Rio Grande at Reynosa, Mexico on Monday morning at Anzalduas Park in Mission, Texas. 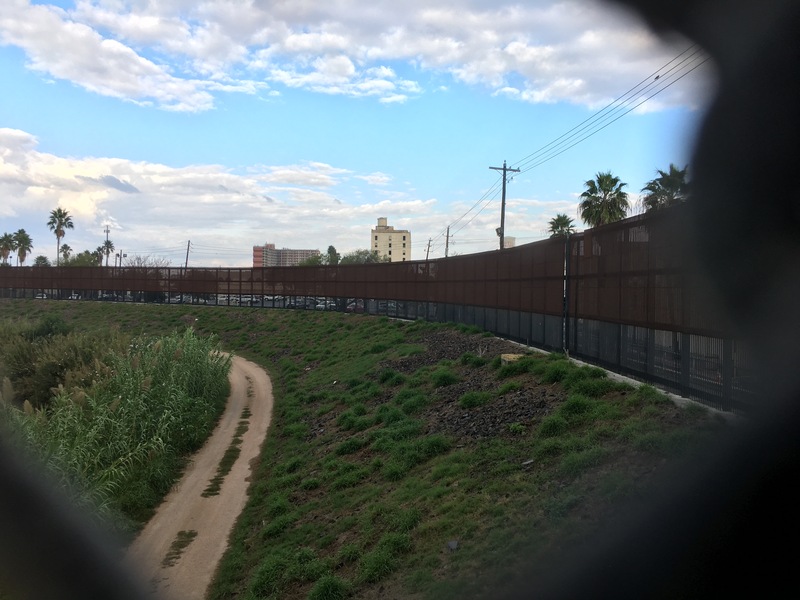 This is pretty much the last densely populated area of the U.S.-Mexico border that doesn’t have a fence. Families from Central America on Monday evening. 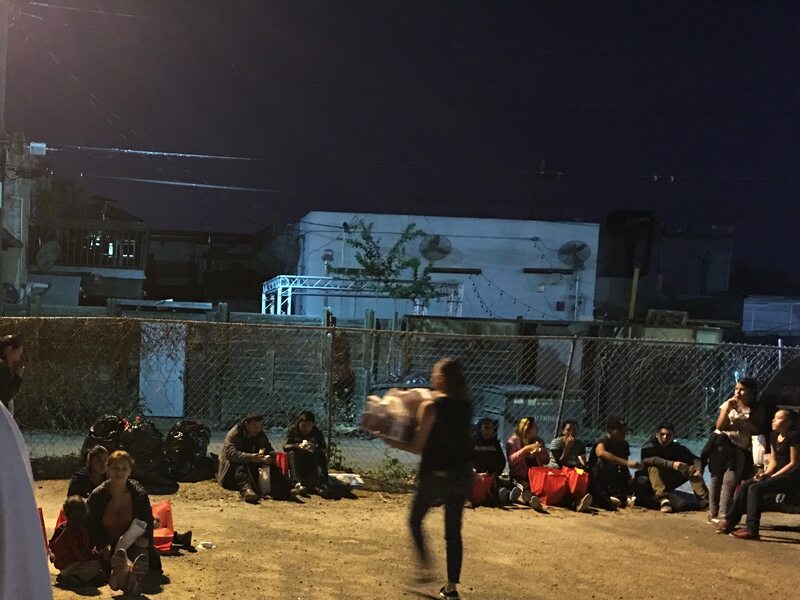 They were just released from Border Patrol custody with notices to appear before immigration courts to hear their requests for asylum or protected status in the United States. After getting bus tickets to their destination cities, many stop at Catholic Charities’ Respite Center in McAllen. The Center was so full—more than 100 people on site—that many sitting here out back, where a volunteer distributed bag dinners. 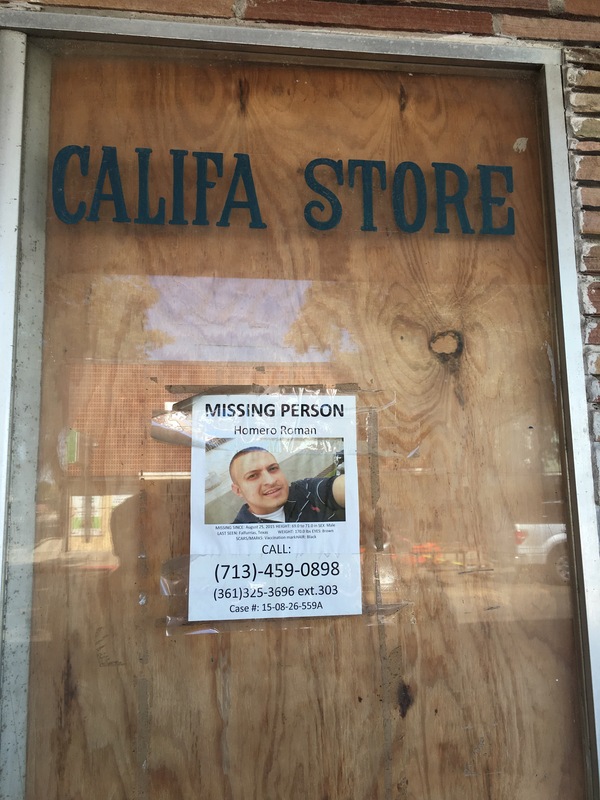 Tuesday in Falfurrias, Texas, the seat of Brooks County, about 80 miles north of the border. There’s a Border Patrol checkpoint on the highway near here. Migrants walk through the surrounding ranchland to avoid it. Dozens die every year trying to do that, of dehydration, hypothermia, and exposure. 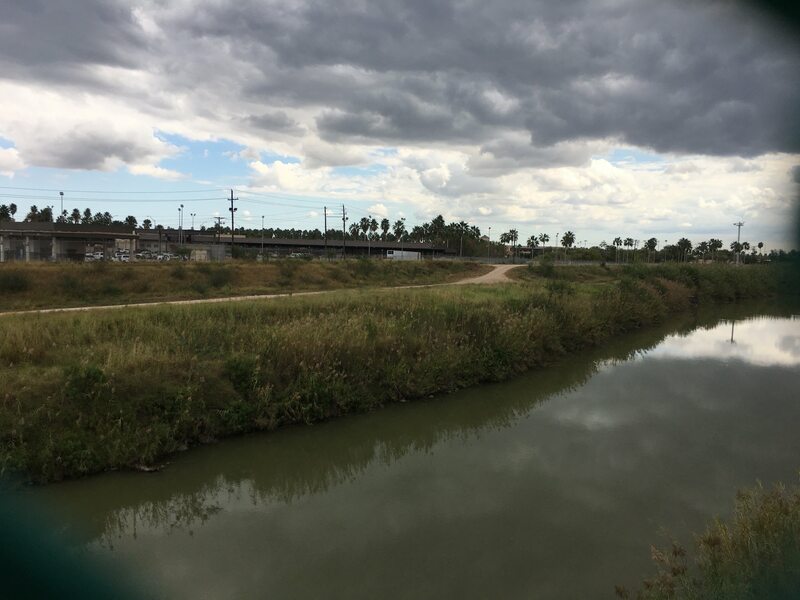 Of all nine U.S.-Mexico Border Patrol sectors, Rio Grande Valley is first in the number of migrant remains encountered. And most are found near here, far from the border itself. 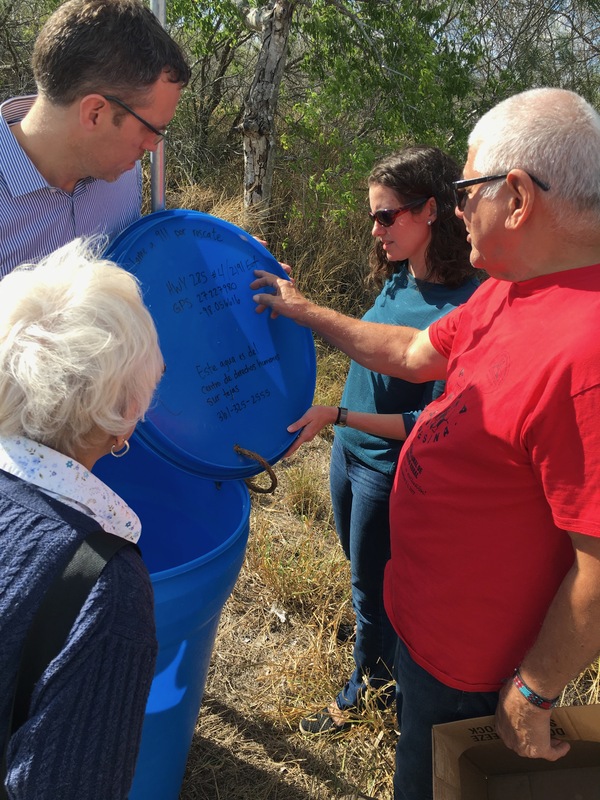 In an effort to prevent migrant deaths, Eddie Canales (red shirt) of the South Texas Human Rights Center puts out water stations like this one in the countryside around Falfurrias. The Catholic Church-run migrant shelter in Matamoros, Mexico, across the border from Brownsville, Texas, on Wednesday. Shelter staff say they have been very full lately. Most occupants are deported Mexican citizens, most of them ICE deportees from the eastern United States. A minority are Central American families headed northward. Migrants are encouraged not to stay too long here, as the organized-crime groups that dominate Matamoros seek to kidnap or recruit them. Looking west at the U.S. side of the river Wednesday while crossing the border bridge between Brownsville and Matamoros. Looking east at the U.S. side of the river Wednesday while crossing the border bridge between Matamoros and Brownsville.